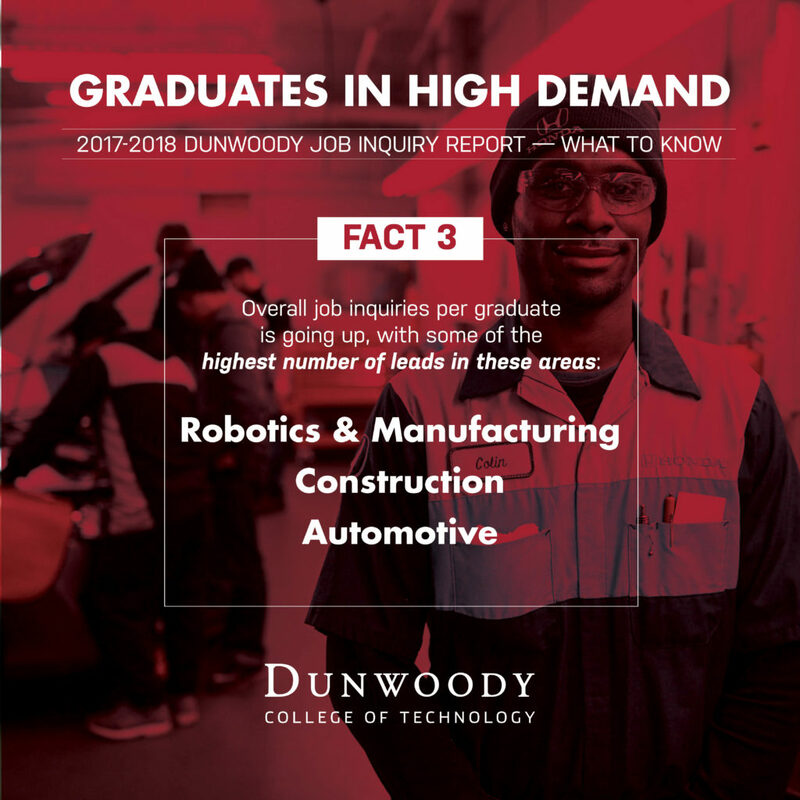 Finding a job after graduation is not a problem for Dunwoody College of Technology graduates. Deciding between multiple offers and options tends to be the norm – not the exception. 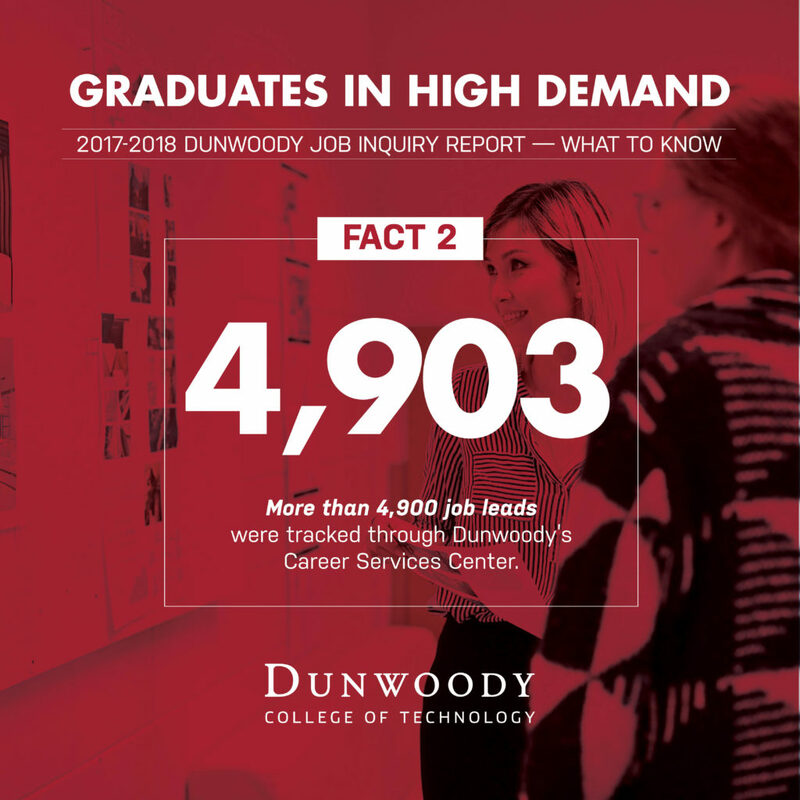 According to the recently released 2017-2018 job inquiry report, the career outlook for Dunwoody graduates continues to be impressive. 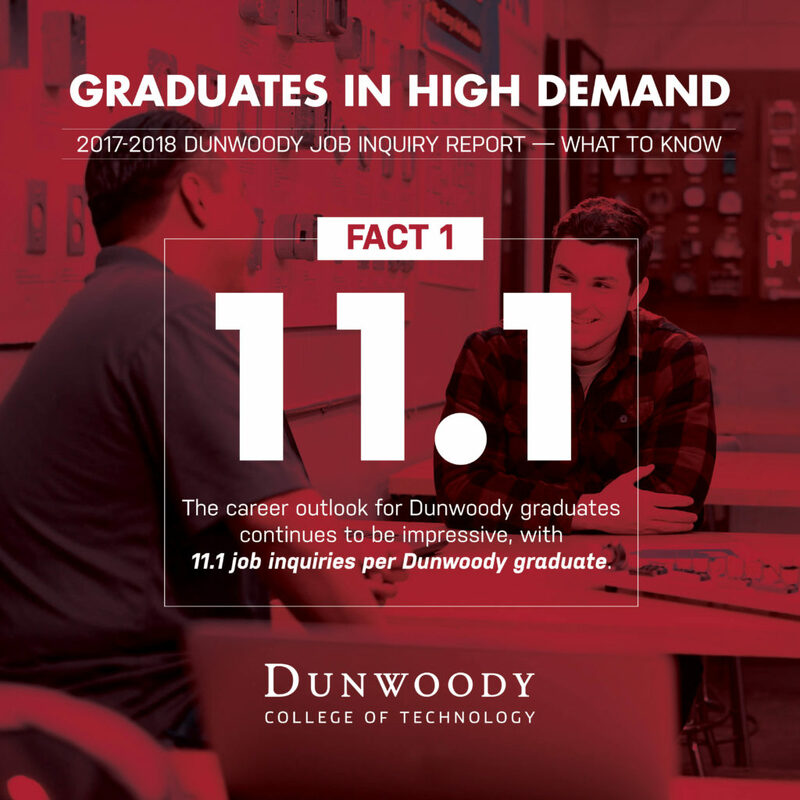 In fact, for the 2018 academic year, the overall job inquiry per Dunwoody graduate was 11.1. The full career services report, including placement rates and average salaries, won’t be available for release until after the first of the year. But this early indication of continued high-demand demonstrates the value of a Dunwoody degree. Borchardt said he tracked more than 4,900 job leads for this year’s graduating class of 440 students. And that only includes job leads for paid positions directly related to a Dunwoody major. Borchardt leads the College’s Anthony L. Ferrara Career Services Center on campus. The Center provides free lifelong employment assistance to all students and alumni. This starts with helping students find paid internships and part-time work while they are still in school, and culminates with helping them through the job search process upon graduation (and beyond). Besides maintaining an online job-board and database, Borchardt is also available to help students develop their resumes and cover letters, create professional online profiles, practice for job interviews, and prepare for the College’s twice-yearly career fairs and networking events. Find more information about the Career Services Center and the services it offers. You can also contact Borchardt directly at rborchardt@dunwoody.edu.